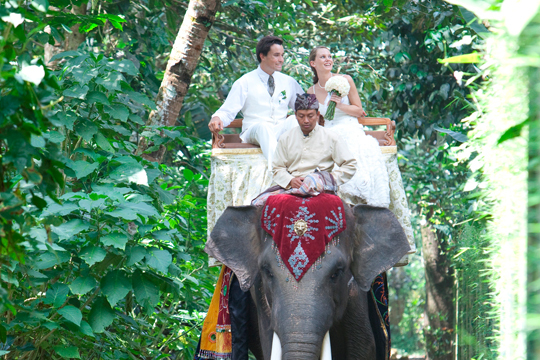 Whether you decide to arrive at your wedding ceremony atop a majestic Sumatran elephant or via a privately owned and exquisitely appointed midnight blue Jaguar S-Type, the Mason Elephant Park & Lodge promises to deliver an unforgettable nuptial event. Situated north of Ubud in the historic village of Taro, the park is generously spread out on 3.5ha of pristine tropical parklands and unspoiled national forest. The safari style lodge offers the perfect solution for couples looking to combine romance and mystery with the thrill of the wild. 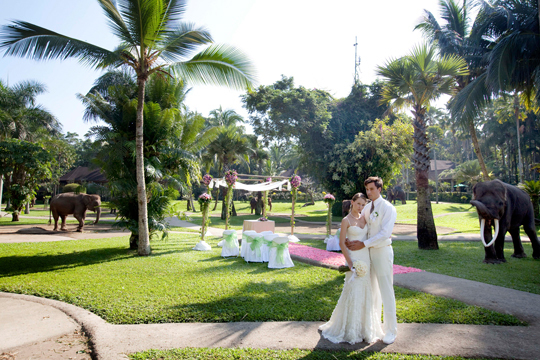 Wedding vows can be exchanged under the resort’s resplendent granite and stone Wedding Pavilion against a magnificent morning or sunset setting. 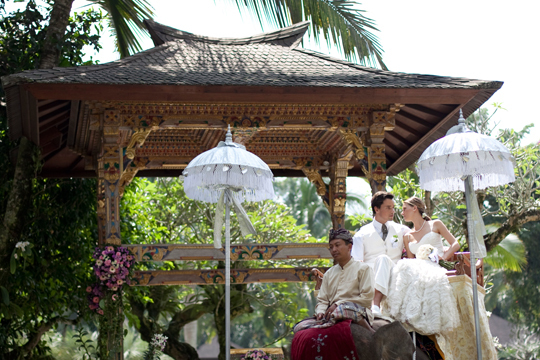 For the whimsically inspired, opt for a symbolic Balinese blessing ceremony wearing elaborate, traditional wedding regalia. For that classic ambience, choose the traditional White Wedding experience with all the favourite trimmings, including a gourmet cake and festive reception for anywhere up to 250 guests.